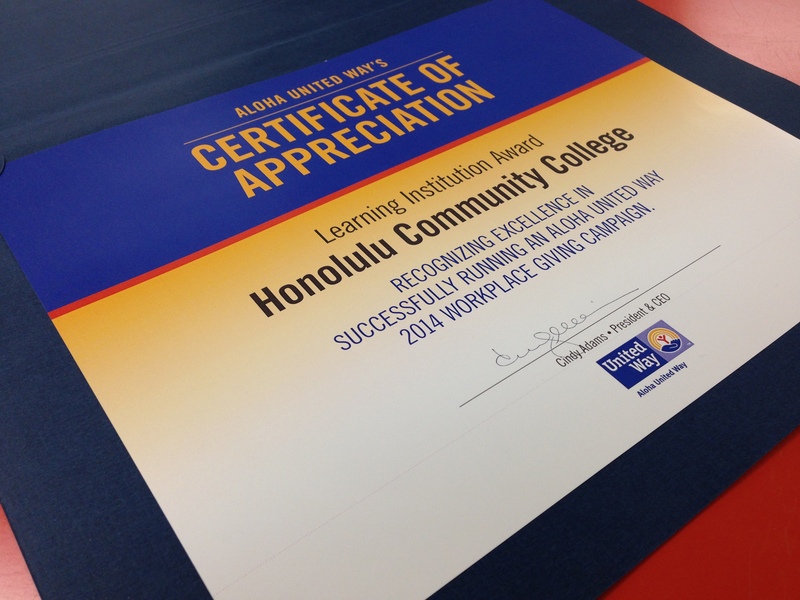 The University of Hawaiʻi’s 2014 Aloha United Way campaign for Oʻahu campuses was held from September 15 – October 17, 2014. A variety of fundraisers and activities were coordinated by the campus this year that included a bake sale, bowling tournament, and ice cream social. As a result of the dedicated efforts of faculty, staff and students, approximately $20,000 was raised during the campaign period. 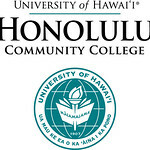 On April 23, 2015 Honolulu CC was recognized for the fourth year in a row as a community champion in the Learning Institution Category for our faculty and staff giving campaign at the 2015 Annual Recognition Luncheon & Spirit of Community Awards. Mahalo to our campus ‘ohana for giving so generously to help those in our community. The annual UH Aloha United Way campaign is the university community’s opportunity to make an impact on the families who rely on the programs run by Aloha United Way partner agencies. For over 90 years, Aloha United Way has served as a fundraiser for Oʻahu non-profits and as an agency that mobilizes the caring power of the community to make a difference in people’s lives. Donations help critical community service organizations assist more than 500,000 individuals in areas ranging from education to poverty prevention.